If you are a passionate golfer with young children and have ever wondered the best age to start your child in the game is, you are not alone. 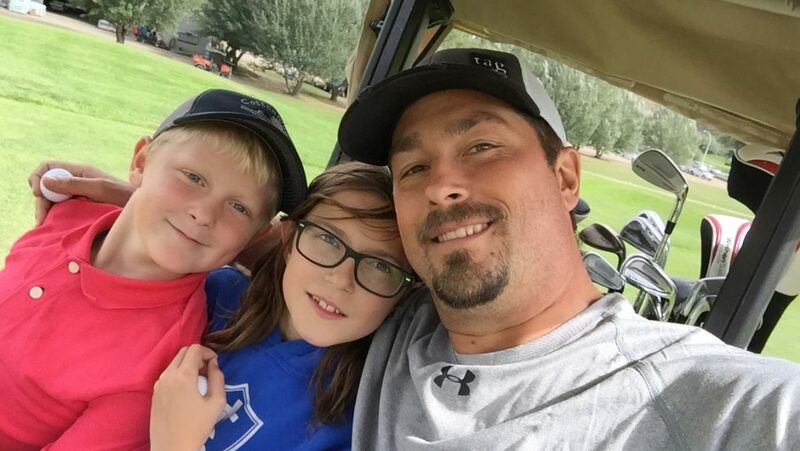 This is a common question and one that is often spurred on by the fact that golf is an excellent family sport that can be enjoyed together by young and old alike. Simply stated, there is no perfect age to start your child; it is less about when you expose them to the game and more about how you expose them. Fun is the most important FUNdamental. Priority number one must be fun, and if you, your child or your instructor lose sight of this fact then the window of opportunity on learning is lost. Keeping this in mind, is there a perfect age to have fun? No. Children can have fun at any age and it rarely has anything to do with how proficient they are with a skill or task. For example, when it comes to colouring did you teach them to stay in the lines and hold the crayon a special way or did you allow them to simply start by scribbling across the page? When colouring it is accepted that they can start out doing it wrong and there is no fear of causing them long term development issues if the mistakes are not spotted and corrected early. In golf however, there is a fear that they must do it correctly from the start or they will somehow suffer for it years later. As time progresses, and providing they are still having fun, there is plenty of time to teach them correct from incorrect. In most cases the interest in learning to do things properly will be spawned by the child themselves so be patient and keep things in perspective. Imagine how quickly a child would hate colouring if it were riddled with rules and they were constantly critiqued and made to feel self conscious about not doing things correctly. Keep it real in their eyes…real fun that is! You can start a child in this great sport at any age as long as you remember that everything must be driven by pure silliness or fun. Be sure to hide the learning so far from the surface that they aren’t even aware it exists. I routinely coach my youngest juniors – ages 4, 5 and 6 – to putt by bowling the ball on the greens rather than putting it. This is a concept they can wrap their heads around, it is fun and they are learning about distance and direction control. Do they realize they are learning? Not likely but they are having fun and that is what matters most to them. Regardless of your child’s age, get them out and expose them to the game today. Be sure you keep in mind that high fives, giggles and smiles must outweigh chips, putts and drives every time.